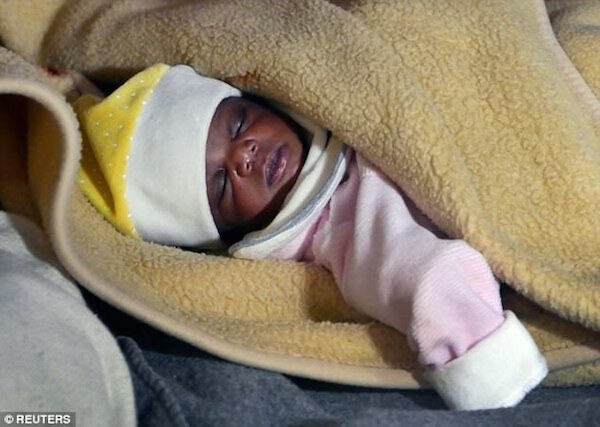 A four-day-old baby belonging to a Nigerian lady, Mariam Ohene, was among over 480 migrants rescued by humanitarian ships on Saturday in the central Mediterranean Sea. Also rescued with Mariam Ohene were her two year-old son named Benjamin and her Ghanaian husband, Richard. They were all travelling on one of two rubber boats carrying over 200 migrants from North and Central Africa, Sri Lanka and Yemen and seen drifting some 22 nautical miles north of the Libyan town of Sabratha, the most frequently used departure point currently used by people smugglers in Libya. 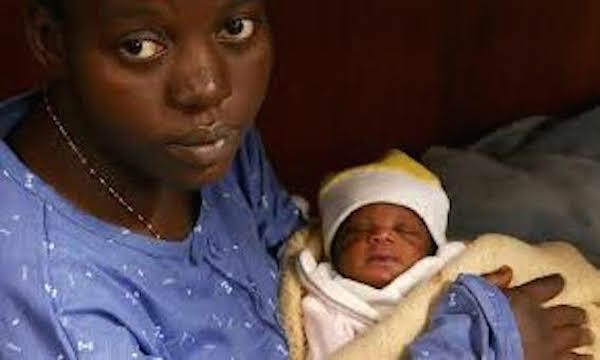 The 29 year-old Nigerian woman had lived with her husband, Richard Ohene for over two years in Libya and decided to leave for Europe after they had the baby. “We want to go to France or Germany, there is a future for our family there,” Richard Ohene said. The rescue operation was carried out by Spanish NGO Proactiva Open arms and lasted three hours. Migrants were transferred into the former fishing trawler Golfo Azzurro, expected to reach the Sicilian port town of Augusta on Sunday afternoon. “A week ago, I collected a dead body from the Mediterranean for the first time, and (Saturday) I carried a new life,” Daniel Calvelo, the 26 year-old who transferred the baby from the raft into the rescue boat, told Reuters. 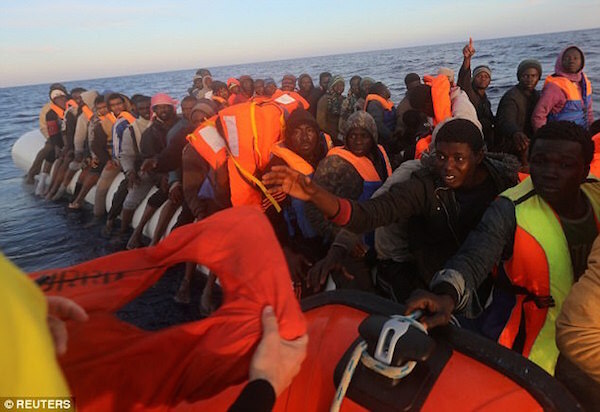 Nearly 600 migrants have died so far this year trying to reach Italy from North Africa, the International Migration Organization (IOM) estimates. Some 4,600 people are thought to have died last year.